The information guide for healthcare professionals prepared jointly by the Commission and the European Medicines Agency is expected to be available in 6 additional languages in the first half of 2018. The guide is an aid for EU healthcare professionals. It gives reference information on the science and regulation supporting the use of biosimilars in the EU. 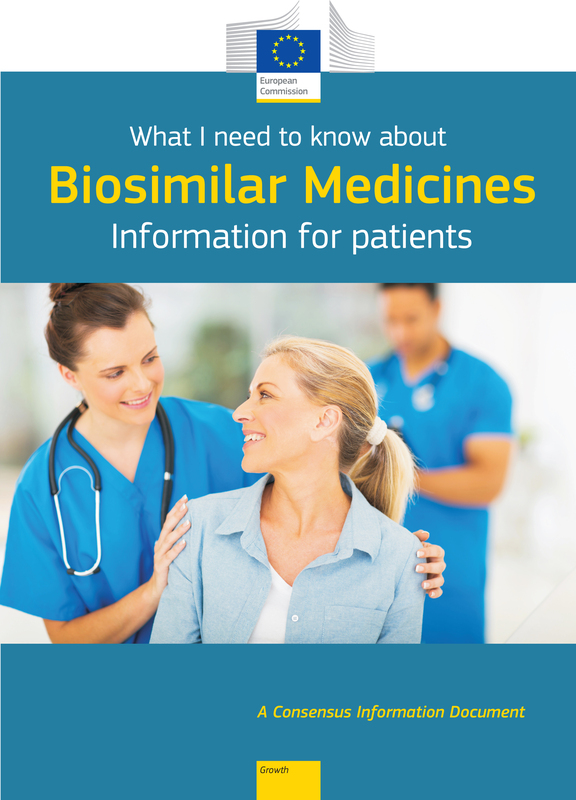 Together these documents provide comprehensive set information on biosimilars in 23 official EU languages. The European Commission is organising the next stakeholder workshop on biosimilar medicines on 14 September 2018. The focus is on oncology, public procurement and the role of nurses and pharmacists in the uptake of biosimilars. Biological medicines (including biosimilars) come from living cells that have been modified using biotechnology. A biosimilar medicine is almost identical to an existing biological medicine. They’re used to treat severe diseases such as cancers. Biosimilars have the potential to create competition in the biological medicine market and provide patients with broader affordable access to the newest medicines. See our 'projects' under the 'platform on access to medicines in Europe' on our biosimilars in the EU page.